Polishers, Pads, and Polisher Kits are On Sale! 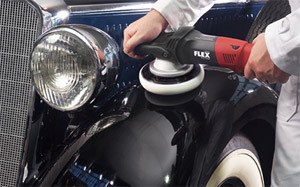 Every year we like to pull out all the stops and put all our polishers and accessories on sale. Good news – our Buffer Sale is going on now! We can only offer these savings for a few days so act fast. Now is the best time to save on polishers, polisher kits, foam and wool pads, pad washers, and virtually everything related to polishers. 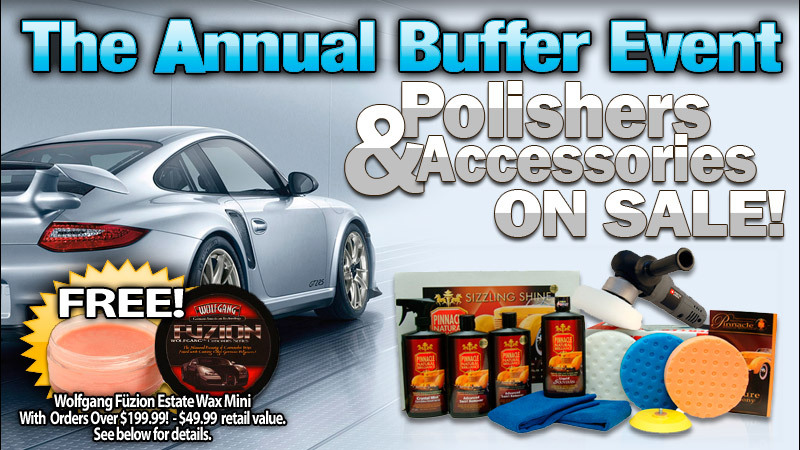 You may not have a better opportunity all year to save on a polisher or polisher kit! It’s been said before but it really is like Christmas in July! Don’t miss out. Autogeek’s Annual Buffer Event ends Sunday, July 18, 2010 at midnight EST. Shop Buffers and Accessories now! PLUS orders over $199.99 will receive a Free Wolfgang Fuzion Mini Wax valued at $49.99. All you have to do is spend $199.99 and add the free Fuzion Mini to your shopping cart here. This offer has expired.